Overall, it was cute. The story wasn't bad. Its just that, the main character should've done more than stand there and look cute! The story started to become a battle for the guy's affection. LITERALLY BATTLE. And the main character doesn't get much screen time, since it focuses more on the battle. 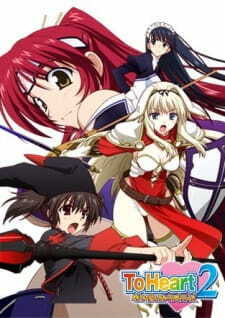 But I'd say that even though its like this,where its more focused on the Harem part of the story instead of the drama, its a good OVA, and definitely better than the main toHeart2 series, where they tried using harem, even though the story was intended to be drama. Check out the Visual Novel for more details on the girl's stories.